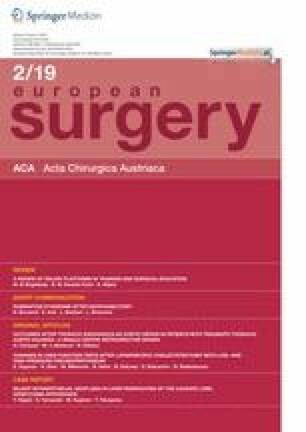 Esophageal cancer (EC) surgery is associated with relatively high morbidity and mortality rates and poor overall survival (OS). The impact of allogeneic blood transfusion (aBT) on OS is still a matter of debate. We aimed to investigate the impact of aBT on OS in a homogeneous population of patients undergoing surgical treatment for EC in a single center during a 15-year period. In total, 409 patients who had undergone surgical resection for EC were studied. The clinicopathological parameters and OS were compared between 170 patients (41.6%) who received perioperative aBT and 239 patients (58.4%) who did not. Compared with the non-transfused patients, patients who received aBT had lower preoperative hemoglobin levels, more comorbidities, and a more advanced stage of disease as reflected by tumor diameter, nodal metastases, perineural invasion, and the need for multiorgan resection. Transfused patients suffered more frequently from major postoperative complications (26/170 [21.5%] vs. 13/239 [5.7%], p < 0.001) and had a significantly longer hospital stay (17 vs. 15 days, p < 0.001). Multivariate analysis identified tumor grade (p = 0.02), perineural invasion (p = 0.001), N stage (p < 0.001), major postoperative complications (p = 0.01), and comorbidity (p = 0.04) as independent predictors of OS in patients with EC. Perioperative aBT was not found to be an independent predictor of OS in the entire cohort, neither in the stratified subanalysis. In our study, an advanced stage of disease and comorbidities resulted in the need for blood transfusion and the occurrence of major postoperative complications, which appeared to decrease the OS in patients with EC. D. Velickovic, P. Sabljak, D. Stojakov, J. Velickovic, K. Ebrahimi, V. Sljukic, and P. Pesko declare that they have no competing interests.